Before and After! 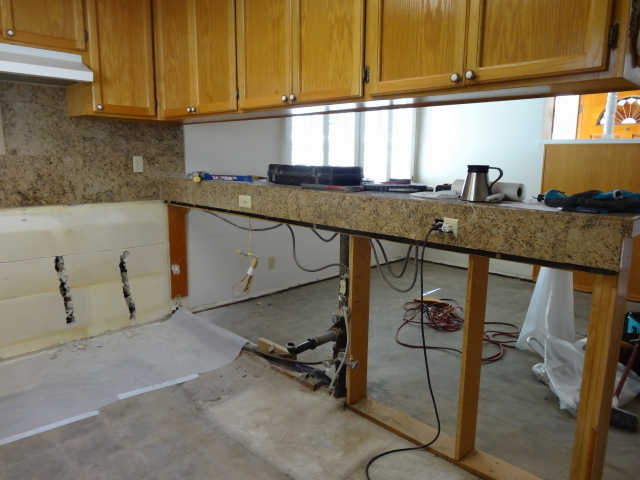 This homeowner experienced an unfortunate water leak which resulted in a partial demo of their kitchen. 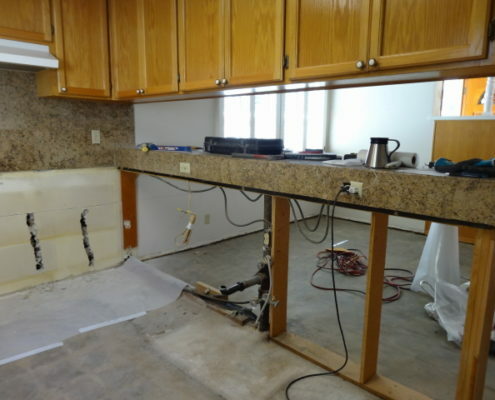 In order to keep the costs down we replaced only the cabinets that had been torn out. 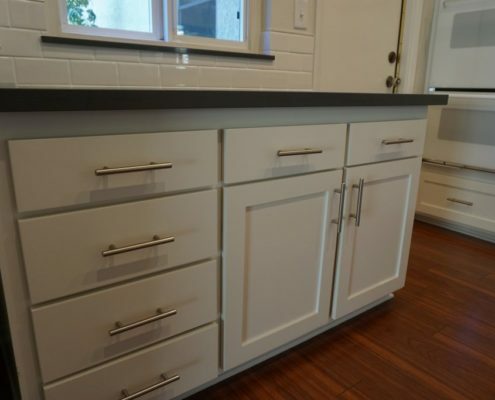 Old doors were replaced with new, shaker style doors, bringing the cabinets up-to-date. 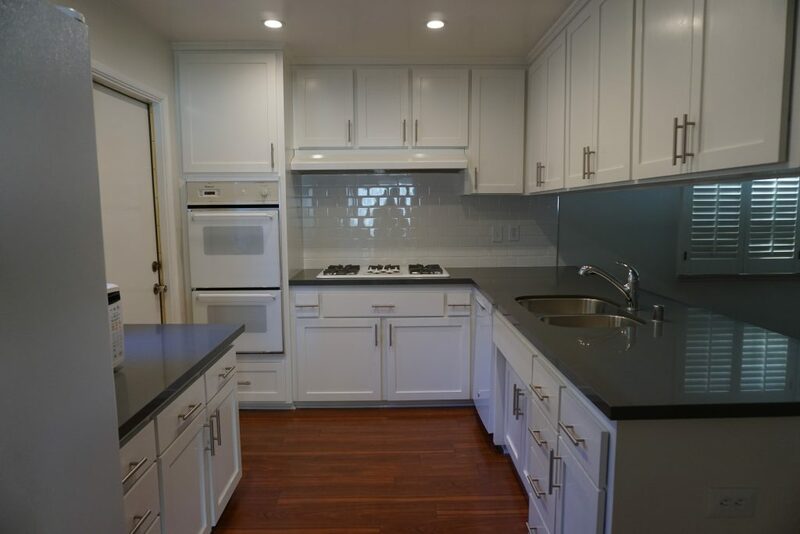 To keep the appearance clean and modern, we used white subway tiles, grey Quartz for the countertops, and stainless steel hardware for the doors and drawers. We also removed the florescent lighting and put in recess lights. 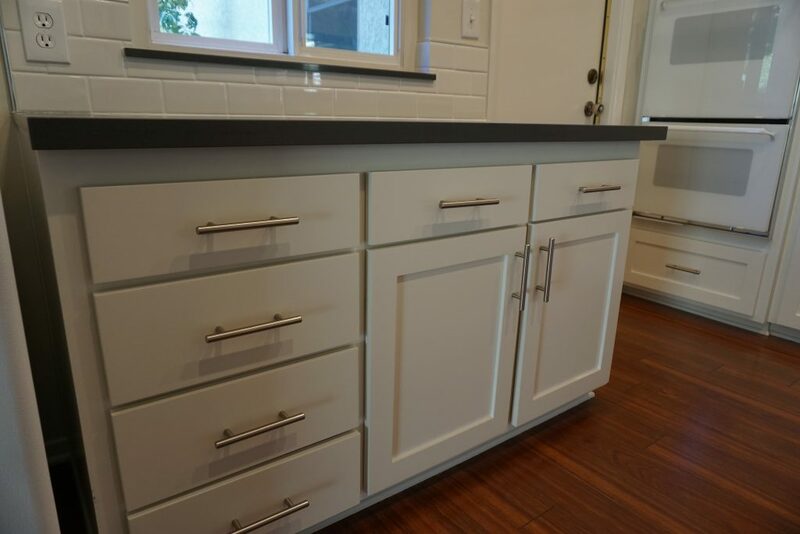 By getting rid of the old step-up bar area and creating a flush extended peninsula, we were able to bring more functionality to the kitchen. 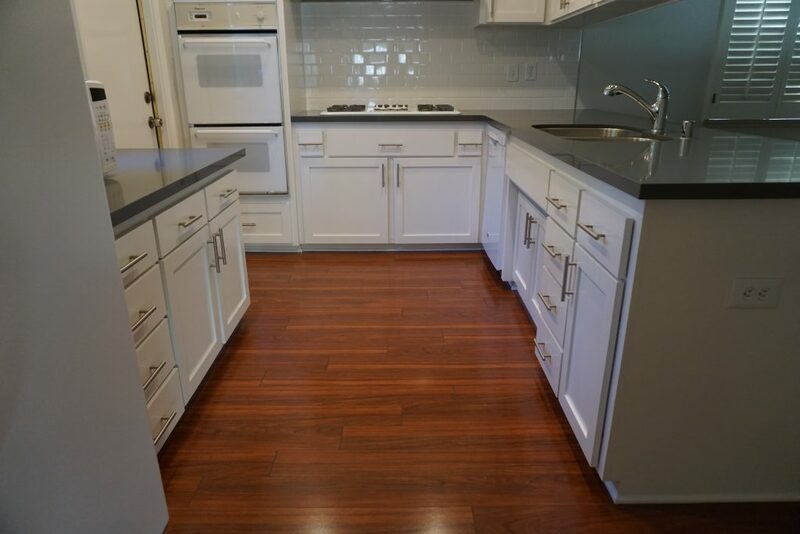 Finally, we ditched the original vinyl and carpeting for a sleek mahogany laminate throughout the house. 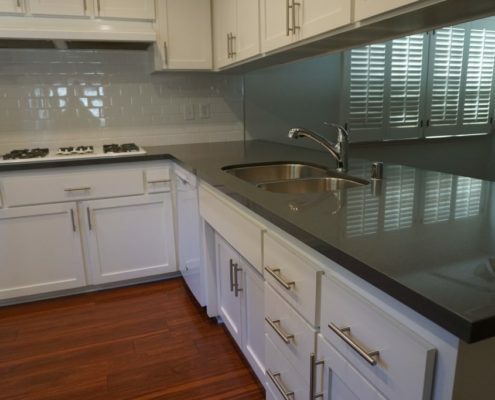 Overall, this project was kept within a reasonable budget while also achieving an overall face-lift. 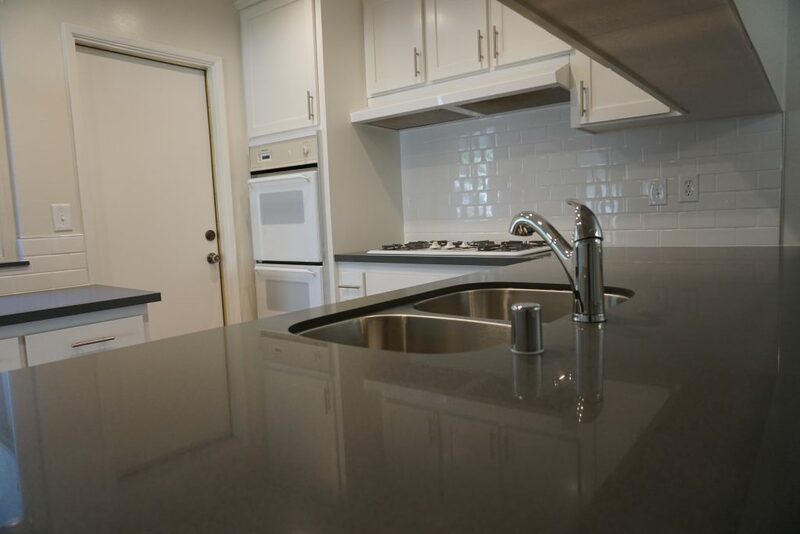 Needless to say the homeowner is very happy with their new and improved home! 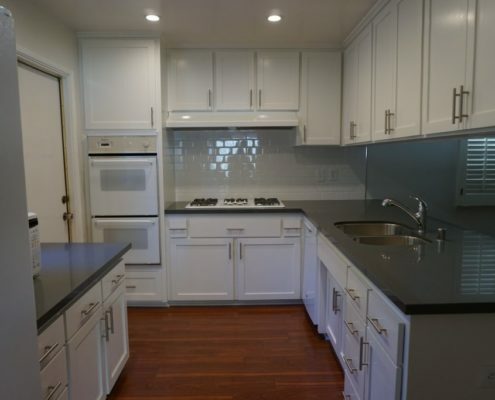 Loving this kitchen? 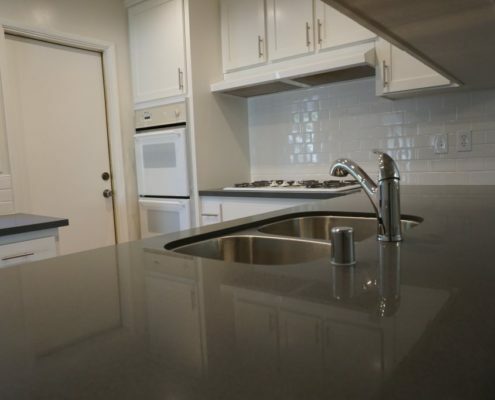 If you’re looking to redo your own kitchen and are thinking of painting the cabinets consider just switching out the door style and keeping the cabinet frames. 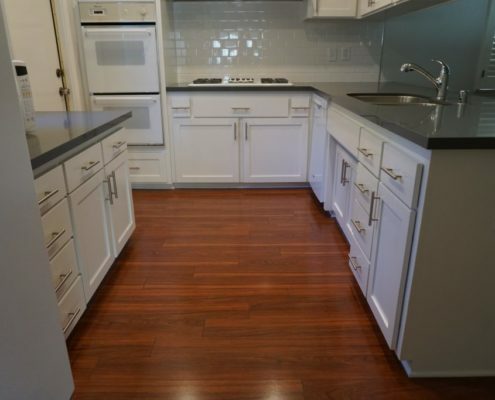 They will need some TLC to be sanded and sealed but this is an area where you can really save some money and put it towards other areas of your kitchen upgrades! 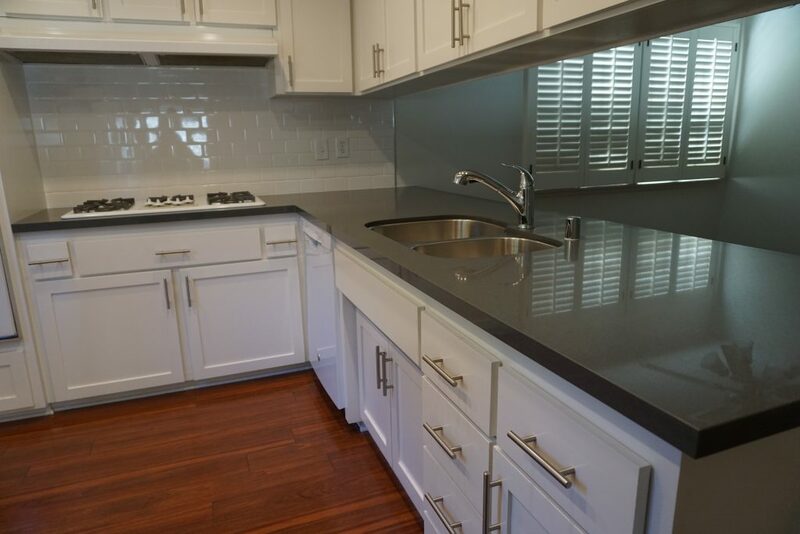 Here are the main components which we used for this project: shaker style doors, elongated stainless steel cabinet handles, 3×6 white subway tiles, pre-fabricated grey Quartz slabs for the counter top, an undermount 60/40 stainless steel sink, Mahogany laminate flooring, off-white semi- gloss paint for the walls, Swiss coffee paint for the ceiling, white appliances.